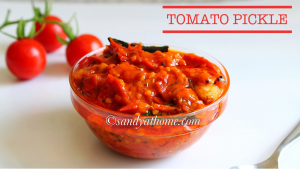 Instant tomato pickle/ Tomato pachadi/ Tomato achar is a bright red colored spicy and flavorful pickle that can be easily made at home with available ingredients. It might confuse you guys why did I suddenly make pickle, but I was compelled to make as I had too much harvest of cherry tomatoes from my patio garden which I preferred to utilize it in one go. Tomato pickle is one such quick variety of pickle that tastes very good with hot rice, idli, dosa, roti and uttapam too. 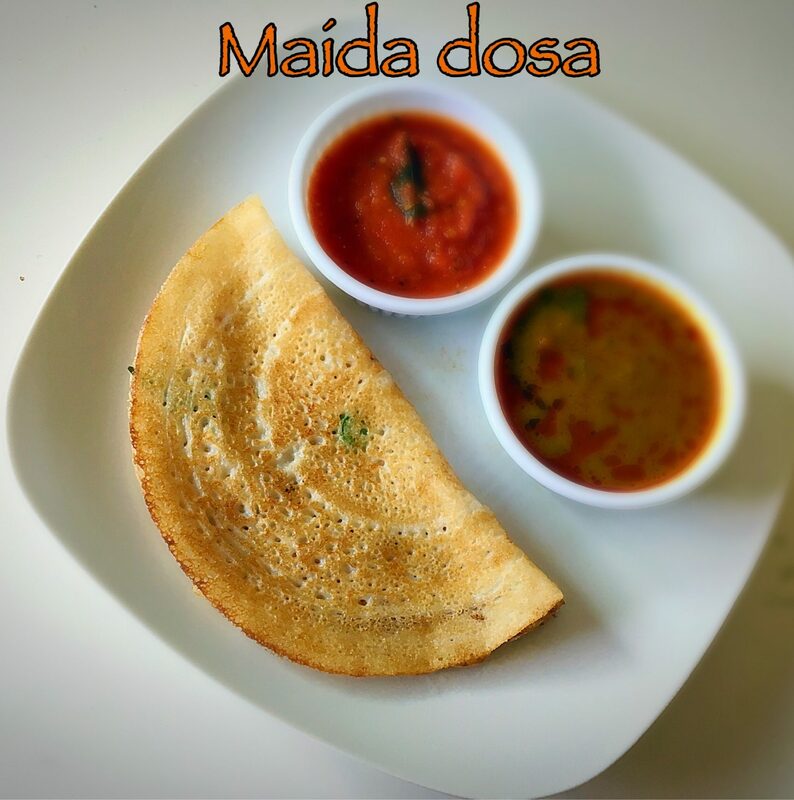 Yes instead of a chutney on a busy day this pickle can be replaced as side dish for many of your main course. 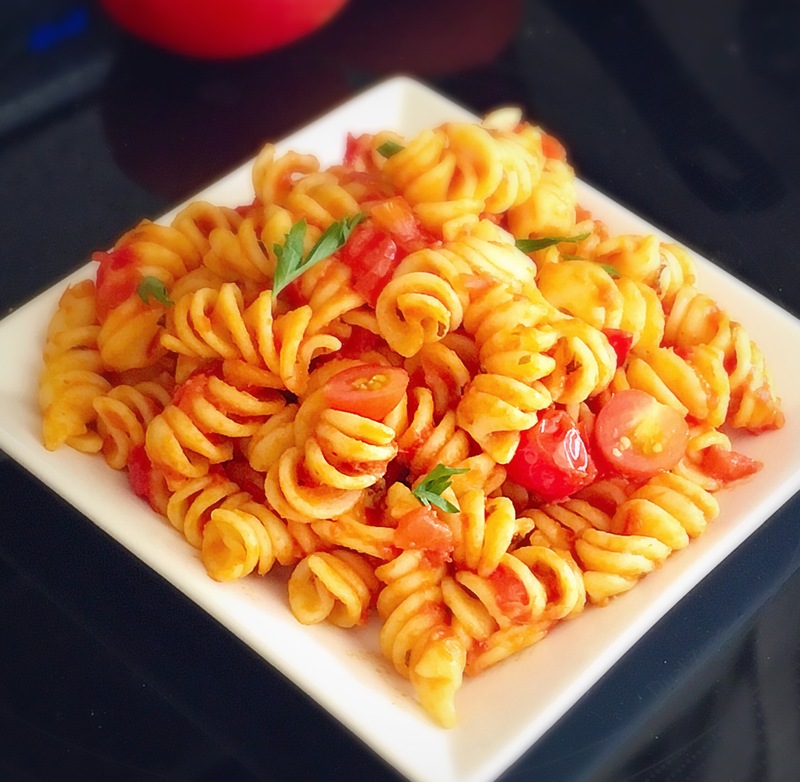 For the below recipe I used cherry tomatoes which can be replaced with any overripe or just ripe tomatoes as the taste will remain same but the tanginess may differ. 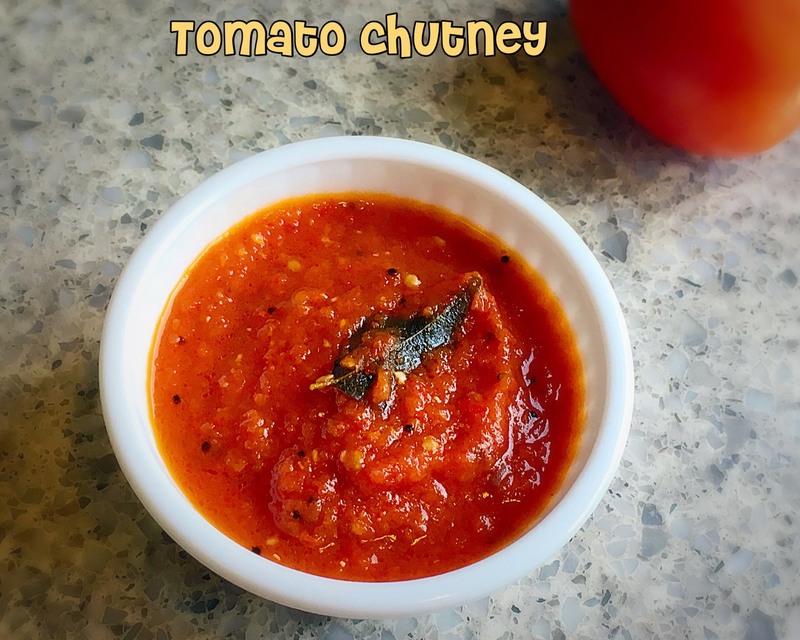 So if you are using overripe tomatoes use less amount of tamarind and more chilli powder to match the taste. For the tempering i used little extra quantity of oil because the quantity of oil will only increase the shelf life of pickle. So lets get to the making! Wash tomatoes well and slice them into any shape and keep it aside. 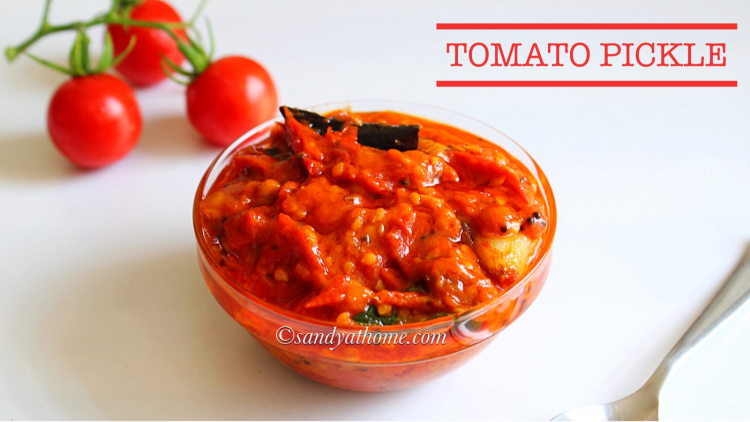 Heat oil in a kadai and add the sliced tomatoes and saute it well. As you keep sauteeing the tomatoes it will start to leave lot of water as seen in the picture. Keep sauteeing in medium flame. 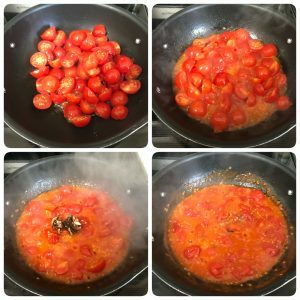 When the tomatoes look half cooked add the tamarind ball and continue sauteeing till tomatoes get cooked and tamarind gets soft and mushy. 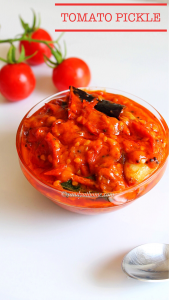 When tamarind looks much combined with tomatoes and when the tomato mixture has started to thicken into pickle consistency put off the flame. Allow the mixture to cool down completely. 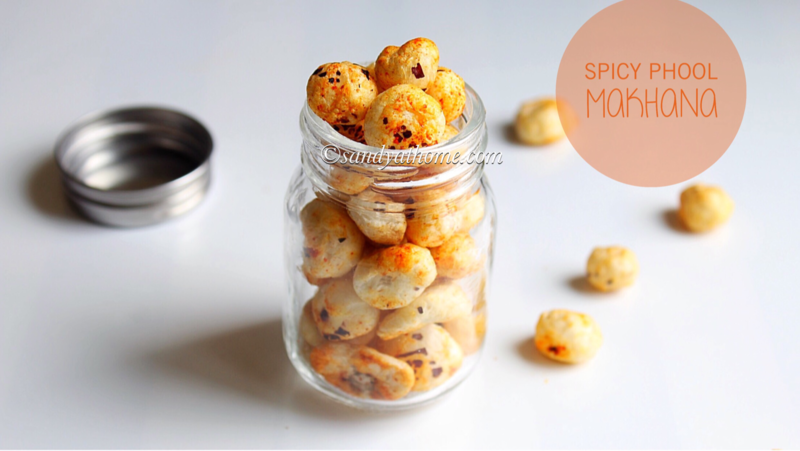 When the mixture has cooled completely add required amount of salt and chilli powder accordingly. Mix well and keep it aside. Now heat oil in a small pan, to it add mustard seeds when it crackles add channa dal, dried red chilli, garlic and curry leaves. When garlic turns light golden color and when nice aroma is emitted pour this tempering over tomato mixture. Mix well and instant tomato pickle is ready. Store the unused pickle in refrigerator and shall be be good for 15 to 20 days if well maintained. 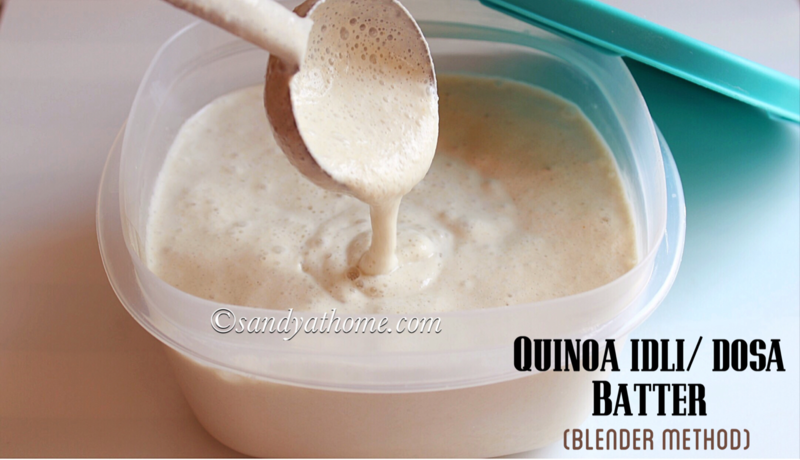 Use dry and clean spoon every time you use it for longer shelf life. Now heat oil in a small pan, to it add mustard seeds when it crackles add channa dal, dried red chilli, garlic and curry leaves. When garlic turns light golden color and when nice aroma is emitted pour this tempering over tomato mixture. Mix well and instant tomato pickle is ready. Store the unused pickle in refrigerator and shall be be good for 15 to 20 days if well maintained. Use dry and clean spoon every time you use it for longer shelf life.